Applies To: Academic Division and Medical Center. The University of Virginia is committed to the highest standards of excellence in human subjects research. This policy establishes a Human Research Protection Program to carry out this mission. An individual, including that individual’s data and biospecimens, who meets the definition of “human subject” in 45_CFR_46 and/or 21_CFR_56 and/or “subject” in 21_CFR_812. The Vice President for Research or his/her designee. A systematic investigation designed to develop or contribute to generalizable knowledge. The term encompasses both basic and applied research and includes all research meeting the definition of “research” in the Code of Federal Regulations, Section 45_CFR_46 and/or “clinical investigation” in the Code of Federal Regulations, Section 21_CFR_56. The term includes but is not limited to any such activity for which research funding is available from a Public Health Service (PHS) Awarding Component through a grant or cooperative agreement, whether authorized under the Public Health Services Act (42 U.S.C 6A) or other statutory authority, including but not limited to a research grant, career development award, center grant, individual fellowship award, infrastructure award, institutional training grant, program project, or research resources award. The University of Virginia fosters a research environment that promotes the respect for the rights and welfare of individuals recruited for, or participating in, research conducted by or under the auspices of the University of Virginia. In the review and conduct of research, actions by the University of Virginia will be guided by the principles (i.e., respect for persons, beneficence, and justice) set forth in the Ethical Principles and Guidelines for the Protection of Human Subjects of Research (often referred to as The Belmont Report). The actions of the University of Virginia will also conform to all applicable federal, state, and local laws and regulations. Facilitate excellence in human subjects research. Providing support to the human research protections program, by ensuring that the HRPP has sufficient staff and resources to fulfill its mission and obligations. In the performance of these duties, the Institutional Official has the authority to delegate such activities as may be necessary in order to fulfill these duties. Acting on behalf of those components of the University that are HIPAA-covered components, as the privacy board for the making of determinations required by and in compliance with the HIPAA Privacy Rule (45 CFR Part 160 and Subparts A and E of Part 164) regarding the use and disclosure of protected health information of human subjects. The IRB may delegate one or more of its duties and authority regarding a particular protocol to a non-University of Virginia Institutional Review Board under a reliance agreement that complies with applicable regulations for the protection of human subjects. All IRB-approved research studies are subject to ongoing review, which must be conducted at least once annually by the IRB. If approval by the IRB lapses, all research activity must stop unless it is determined to be in the best interest of already enrolled subjects to continue participating in the research. The investigator can petition the IRB to continue an individual subject’s research intervention/interaction during a period of lapsed IRB approval if the investigator believes there is a safety concern or ethical issue such that it is in the best interests of the individual participant to do so. Involving the use of this organization's non-public information to identify, contact, or study human subjects. No research involving human subjects may be conducted without IRB approval or exempt research review and no research may commence until all required Institutional approvals (including IRB) are obtained. Exempt research is subject to review for determination of exemption status. At the University of Virginia, exemptions are reviewed and granted by IRB staff trained in exempt review determinations. The University of Virginia may review any human subjects research protocol and has the right to disapprove or terminate approval of a research protocol that has been approved by the IRB. However, no one at the University of Virginia shall approve the implementation of human subjects research requiring an IRB approval that has been rejected by the IRB. 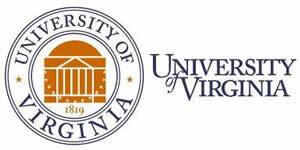 All institutional and non-institutional performance sites for the University of Virginia, domestic or foreign, will be obligated by this policy to conform to ethical principles which are at least equivalent to those of this institution or as may be determined by the Department of Health and Human Services (DHHS) Secretary. The Institutional Official and the IRB shall adopt operating procedures to implement this policy. These procedures shall serve as the governing procedures for the conduct and review of all human research conducted under the auspices of the University of Virginia. Failure to comply with the requirements of this policy may result in (1) administrative actions including removal from a human subjects research protocol or removal as PI from a research grant or contract; and (2) disciplinary action up to and including termination and expulsion in accordance with relevant University policies. Questions about this policy should be directed to the Contact Office. Revision History: This is the first version of this policy.